Closed captioning or subtitling is displaying text on the video screen to provide additional information to people who wish to access it. 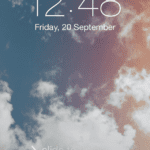 This is an essential accessibility feature for certain individuals, who are hearing impaired or hard of hearing. Or for folks wanting to watch a video without audio! 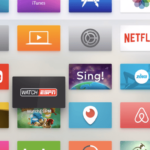 So check with the video provider (like Hulu or Netflix for example) to see what options they provide. 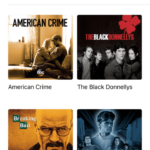 Or search for closed-captioned and subtitled content when looking for videos. 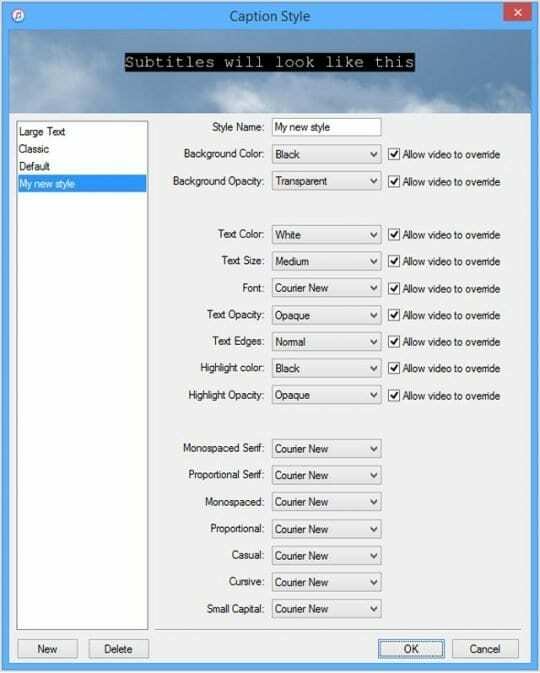 Additionally, some websites and apps provide their own custom caption interfaces for videos. So be on the lookout for those too! Just tap Settings > Videos and toggle on Closed Captioning. Note that enabling closed captions only works if you have a video that supports it. Also, when you enable closed captioning, it turns on closed captioning for your third-party video apps (e.g., Netflix). 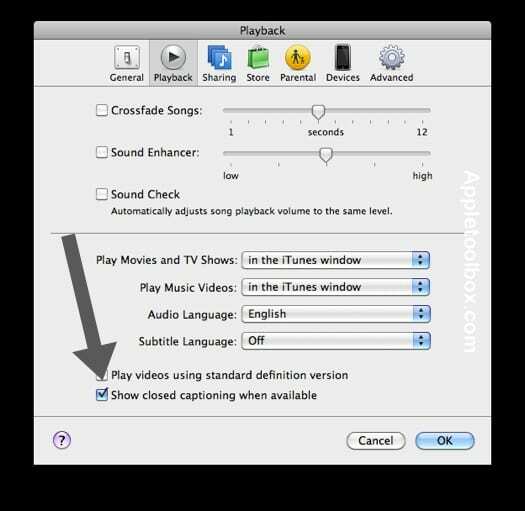 You can also turn on closed captioning in iTunes on Mac and Windows PCs. 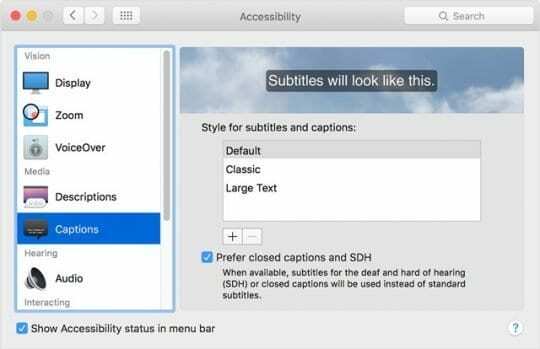 macOS supports closed captions and subtitles in these native apps: iTunes, DVD Player, QuickTime Player, and HTML5 video viewed in Safari. Choose one of the predefined styles, or create your own style by clicking New. 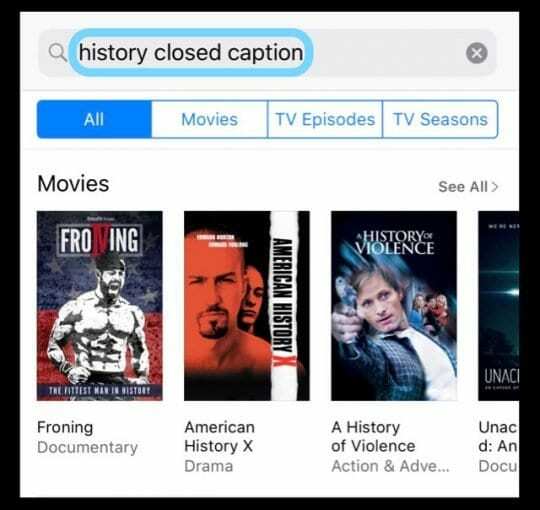 Scroll to the bottom of an item’s product page and look in the Languages section for information about available closed caption and subtitle languages. 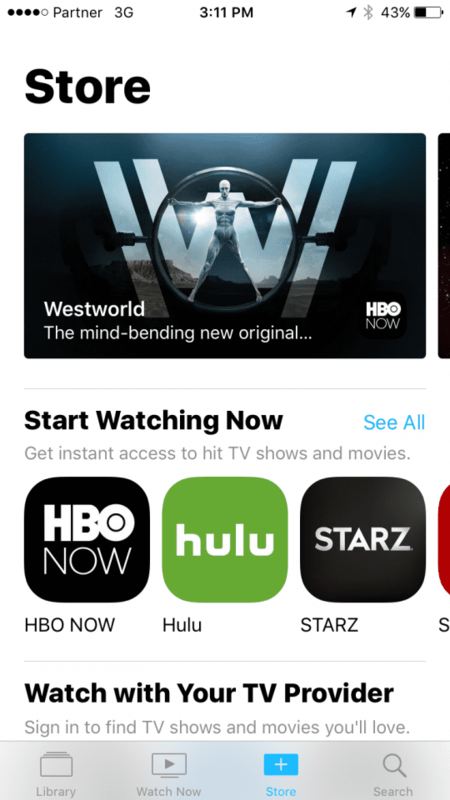 When you find something that you’d like to watch, tap it. 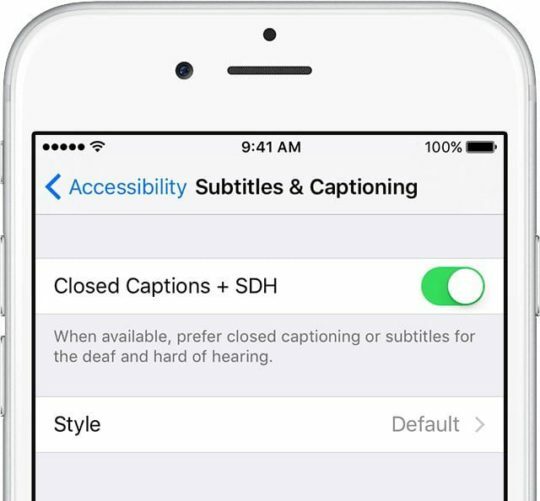 Look for a closed caption icon (CC) or subtitles for the deaf and hard of hearing icon (SDH) on the item’s product page, underneath its title. Remember that movies that support closed captioning show a CC (Close Caption) logo and videos that support subtitles for the Deaf and Hard of Hearing show an SDH icon. And again, not all videos include a caption or subtitle track. I have an iPad mini and under video I don’t have that feature of turning CC on or off. I wonder why it’s missing? Any ideas. 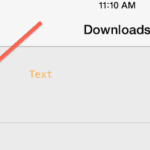 1.Launch the Settings app on your iPhone or iPad. 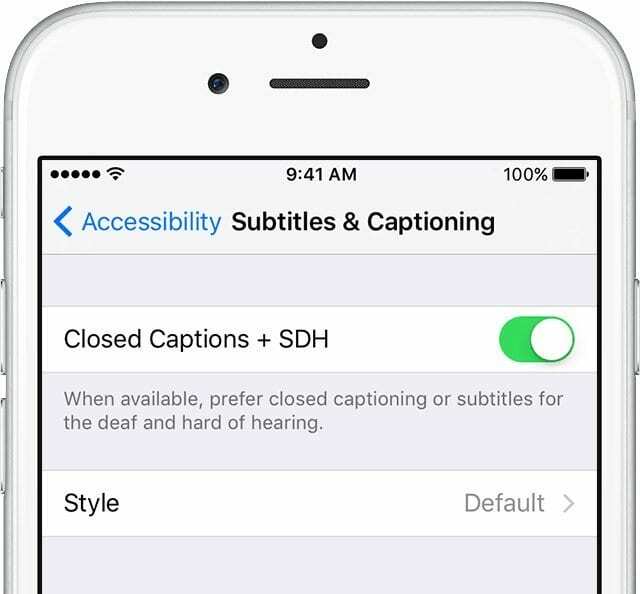 4.Under the Hearing section, tap on Subtitles & Captioning. 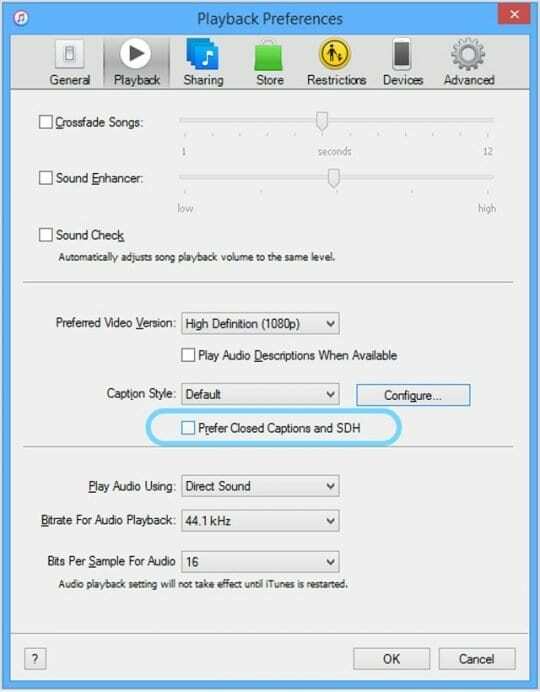 5.Turn On the option for Closed Captions + SDH. 6.Tap on Style in order to customize how closed captions work if you’d like.